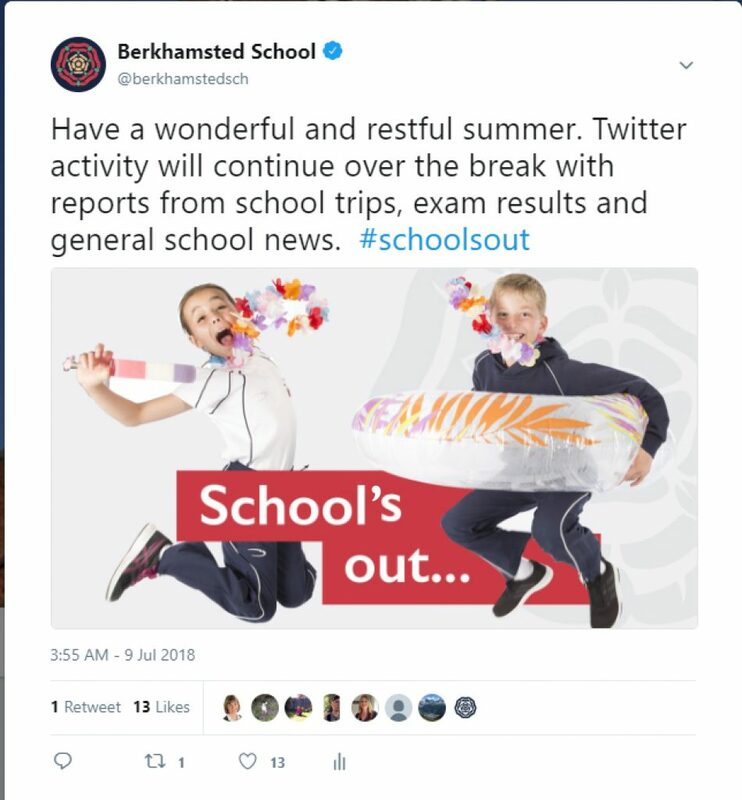 Prep School tweets were viewed a total of 1.2 million times throughout the 2017/18 academic year. We received around 6,000 likes and retweets from our Twitter followers, and every single one was very much appreciated! The year on Twitter is an opportunity to look back at memories made and the opportunities enjoyed by Prep pupils since September. Headteacher Jamie Hornshaw said “Each year, the children embrace different ways of learning, become more creative and try out new opportunities available to them. We are proud to share school life to our parents, family members and the wider community via social media”. The school office took a phone call to declare our 3-day Independent School’s Inspection will take place within 24 hours. The school was judged as excellent in all areas, the highest outcome possible under this inspectorate’s framework. Words such as ‘articulate, highly-developed, collaborative & independent with excellent attitudes’ to work were used to describe the children’s academic and other achievements. Fives is a popular sport at Prep, and levels of interest are growing each each. The school is producing players of a National standard, including Noah and Ben who were crowned National U11 Champions. The Eton Fives Association named our very own Mr Perrie as coach of the year. George went on to achieve a bronze certificate for scoring in the top 2.5% of competitors in the country. Avi and Jack were runners-up out of 53 Year 5 teams. Talented sisters Madeleine and Beatrice Murray were offered places in the National Children’s Orchestra for 2018. The range and standard of music on display at Prep is incredible. Children playing a musical instrument has increased 70% within the last 6 years, and ABRSM exam results have been outstanding! In curriculum Drama lessons, every child has been given the opportunity to gain a qualification through the London Academy of Music & Dramatic Arts. This year, 114 children were awarded a Merit and 232 received a Distinction, including every pupil in Year 3. “A fantastic teacher he will be missed.” “Honestly what a man!” respond parents on Twitter. A multitude of adventures provide our children with challenges in a number of ways, including spending time away from home, testing boundaries of self-confidence and fear as well as physical aspects not covered by traditional PE & Games. Through our value Serve Others, we have continued to support at least 13 charities this year. This has not just involved giving money although over £5000 has been generously donated so far. We recognise that pupils have provided enjoyment for others outside of our school community, such as the musicians who visited Watermill House and The Hospice of St Francis. 19. Howzat for an epic Prize Day? We were delighted to welcome England’s most successful women’s cricket captain Charlotte Edwards at Prize Day. As a school we have fully embraced cricket as a summer sport for girls and boys alike, with everyone representing the school at least once this year in fixtures or tournaments against other schools. In front of our guest of honour, our top pupils were presented prizes for outstanding progress and effort and for notable achievements in academic, curricular and pastoral fields.